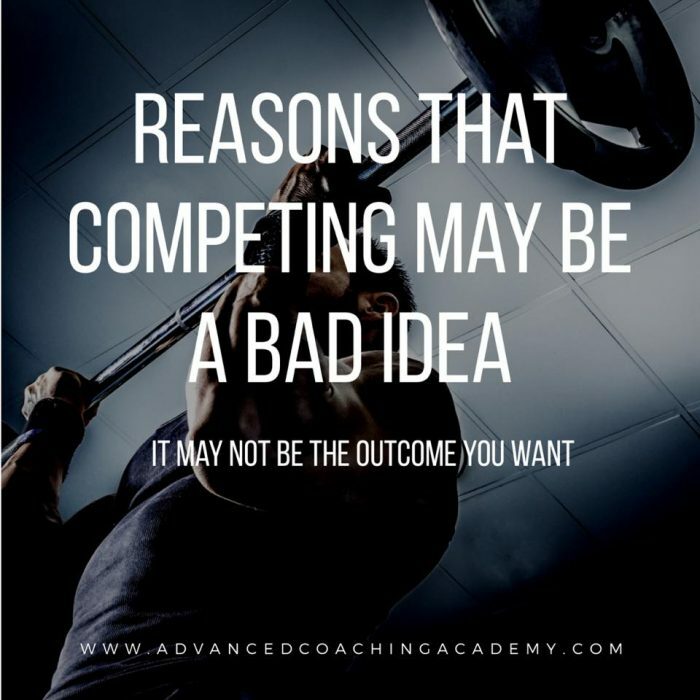 Reason competing might not be the right thing for you. The world of fitness, bodybuilding, figure and physique competition has certainly grown and evolved over the past few years. Maybe it’s grown too fast in many respects? That’s a whole different discussion however. I’ve seen the good, the bad and the ugly of competing and want to give an insight. I want to run down some things I would regard as tell tale signs that you maybe need to re-assess your goals or take a considerable look at your approach or reasons for competing. You spend one part of your year unhappy as you’re what you would regard as ‘out of shape’, and beat yourself up daily as to how you look. You wear things to cover yourself up, avoid public appearances, social events and 100% refrain from letting anyone know that you ever look like that. Your pictures on social media are old, edited or angled in such a way it makes you still look lean. You have very little control over what you eat and fail to establish that control until you 100% lock into and commit to a competition. The rest of the time you rationalise it. You label it and tell people why you’re eating it. You spend the next part of your year unhappy as you can’t eat food you enjoy, spend time with friends, socialise and you once again avoid social events or appearances so you don’t compromise your diets or goals. Your work and family move down the hierarchy of importance and competing becomes your only focus. You eventually surface for the few weeks a year when you’re genuinely happy with the outcome and your physique. If that hasn’t been tarnished by you being unhappy at not placing when all your friends and the mirrors in your gym showed how awesome you looked. You have a few weeks of indulging on food you love and can justify eating it. You still look good and kid yourself you’ll pull it back and once again ‘won’t get fat in the off-season’. If that’s not you, cool. If it is you, maybe time to re-assess and make sure you don’t regret your decisions. You’re potentially creating behaviours you may never break. Creating a physical expectancy of yourself that’s non-sustainable. For most of you, competing isn’t going to replace family and friends, it’s never going to create that degree of pleasure. It’s never going to ‘fix’ your perception of self. If anything you’ll become far more critical and unhappy with your physical shape than you’ve ever been. For the majority of you it’s never gonna pay your bills or improve your quality of life. Competing is a challenge. Something that should be done, experienced and assessed for what it is. If you genuinely, devoid of peer or industry pressure enjoy the process, the outcome, the friendships, the camaraderie go for it.